Life on campus is very convenient and safe. Most Chinese students will choose to live in the dormitories on campus because of its reasonable prices, complete facilities and safe surroundings. Most of china’s universities provide international students dormitories for foreign students. Usually there are single-room, double-room and three-room dormitories for foreign students. The students can choose what they like. Most of the dormitories are equipped with necessary facilities including internet access, TV, basic furniture, toilet, telephone or even kitchens. Universities in the north also provide heaters in winter. As to the fees it is quite reasonable. However, the prices vary greatly from 20 RMB/day to 100 RMB/day determined by different universities and different types of dormitories. You can email to service@sicas.cn to reserve your room on campus if you have received the admission letter of a Chinese university through SICAS and have got your visa. You can find out specific costs for each university's on campus accommodation on the university's SICAS page (click on the 'Accommodation' button on the left navigation bar). Besides, you can get all kinds of services such as shopping, dining, laundries, entertainment, ATM etc while living on campus. If you don’t like to live on campus, you can choose to rent a room near your campus or join a local homestay family. Most of the universities will allow foreign students to live off campus while you have to inform the university and get the permission from the university first before you make the arrangement. Some schools may have strict accommodation regulation for the sake of students’ safety so you may be required to go through some official forms to get the permission for living off campus. However, some universities will not allow the international students to live off campus due to some security consideration, especially when you are in your first year or you r younger than 18 years old. There are many ways for you to get housing information; you can check some renting websites, for example, http://www.thebeijinger.com/classifieds. There are certain columns on the local newspaper for renting and you can also find something useful from the billboard on campus. Just be aware that most housing ads you find are posted by agents who may charge an agent fee when you sign the contract (typically one month’s rent) and who may not speak English. The rents also vary a lot according to the location and condition of the apartment. If you want to rent an apartment at a reasonable price, you can turn to a letting agent or you can visit some house renting website. If you need help from SICAS, please email to service@sicas.cn. 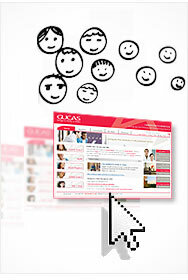 You can click to (download) the SICAS Tips for renting off campus in China. It might be a little difficult for a foreign student to live in a total new environment all by himself or herself, and it is not easy to find a perfect house or apartment either. As a matter of fact, SICAS offers homestay/Au pair arrangement service for foreign students. The Chinese meaning of Homestay is “Living in a local family”; means foreigners live in typical Chinese families when they are studying, working or travelling in China. In this way, international students are able to know more about Chinese culture, custom and life style. Besides, if you come to China to study Mandarin, to know about the real Chinese Culture, or to do kinds of internship in China, SICAS homestay/Au pair program is the best choice. All the host families are well-chosen by SICAS thus they all have nice house/apartment and are very kind-hearted. For SICAS conducts a thorough interview and security check, our hosts are particularly excited and welcoming toward foreigners. Students can have their private room with all the necessary appliances like Internet access, telephone, iron, etc. in a host family. As a fully integrated family member you will participate in the daily ins and outs of Chinese living including eating meals together, watching TV, and bargain shopping. Should you have any questions or concerns, don't hesitate to ask your family! They welcome questions from curious students and travelers. Our staff will also be available at all times to assist you if necessary. The prices of living in a host family vary based on the house/apartment condition and relevant services and the type of your homestay/au pair. Generally speaking, it costs a foreign student RMB 50—150 per day living with a local family. 3. Applicants will make payment and sign a contract with host family through SICAS within 20 days if both of the two sides agree.